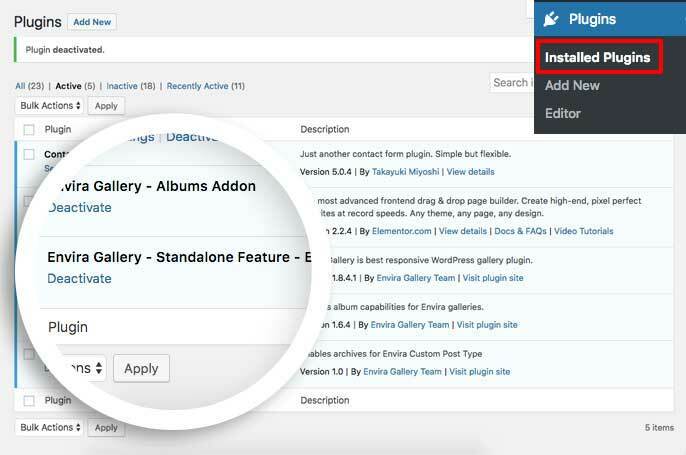 Would you like to enable archives for standalone links in Envira Gallery? You can easily do this by creating a custom plugin. This documentation will help walk you through the steps needed to enable archives for standalone links in Envira Gallery. This tutorial is a bit more technical than our other docs. In order to use enable archives for Envira, please review the steps below. How do I find the archive pages for my galleries? How do I change the default appearance of the archives? Archives is a list of all galleries you’ve created and each gallery would list as a link to the gallery standalone link. To enable archives for the standalone feature in Envira, just add the following code to a new file at wp-content/plugins/envira-standalone-archive-support.php. And that’s it! If you’ve set a featured image on your Envira gallery, then the title of the gallery and the featured image will show on your archive page. If you’d like to extend Envira further, check out our tutorial on How to Load Your Gallery Lightbox from a Text Link. Q: How do I find the archive pages for my galleries? 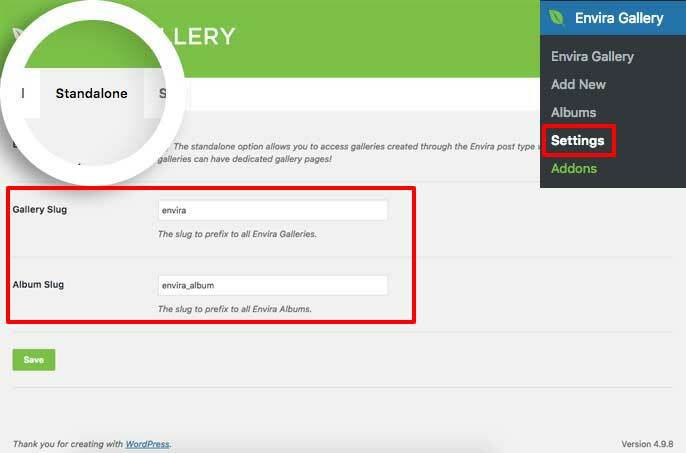 A: The archive pages uses the slug of your galleries you’ve specified in the WordPress Admin » Envira Gallery » Settings » Standalone tab view. Q: I’ve installed/activated this plugin but it isn’t working, why? A: You may need to navigate to the WordPress Admin » Settings » Permalinks and re-save your site’s permalink settings. Q: How do I change the default appearance of the archives? A: This is designed for developers only. To style your archives, you’ll need to create a new child theme template file named archive-envira.php and create the HTML and CSS to suit your needs. If you’re not sure where to start, you may want to work with a developer to achieve your goals.